Welcome to the CBN round-up of beer festivals for the coming week (Friday through Thursday), listed here with a bit more detail than what is featured on our popular Beer Festival Calendar page. Watch for a new instalment every Thursday – assuming there are any events scheduled for the week ahead, of course. The Pacific National Exhibition (PNE) in partnership withVancouver Craft Beer Week (VCBW) has announced that this year’s edition of the fair will be putting the spotlight on some of the province’s many craft breweries for the first time. The festival will feature more than 30 breweries, with some on hand for the full run, and others switching between the first and second weeks. Advance tickets are available online. 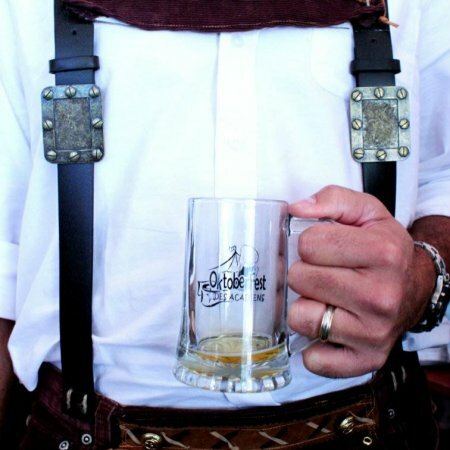 Brush up on your French – with a bit of German, perhaps – and head to this family-friendly event that will feature a selection of local and imported beers along with various food options, live entertainment, bouncy castles and other activities for the kids, and much more. See the full schedule on the festival website for more details. Known to many Canadian beer drinkers as the home of the renowned brewery Unibroue, the city of Chambly is also the host to one of Quebec’s most popular food and drink festivals. Now in its 14th year, Bières et Saveurs will welcome more than 50,000 visitors to Fort Chambly over Labour Day weekend where they’ll enjoy the best Quebec has to offer in beer, wine and cider, along with food from local restaurants and producers.